Who isn't constantly on the hunt for the perfect primer for a flawless makeup application?! 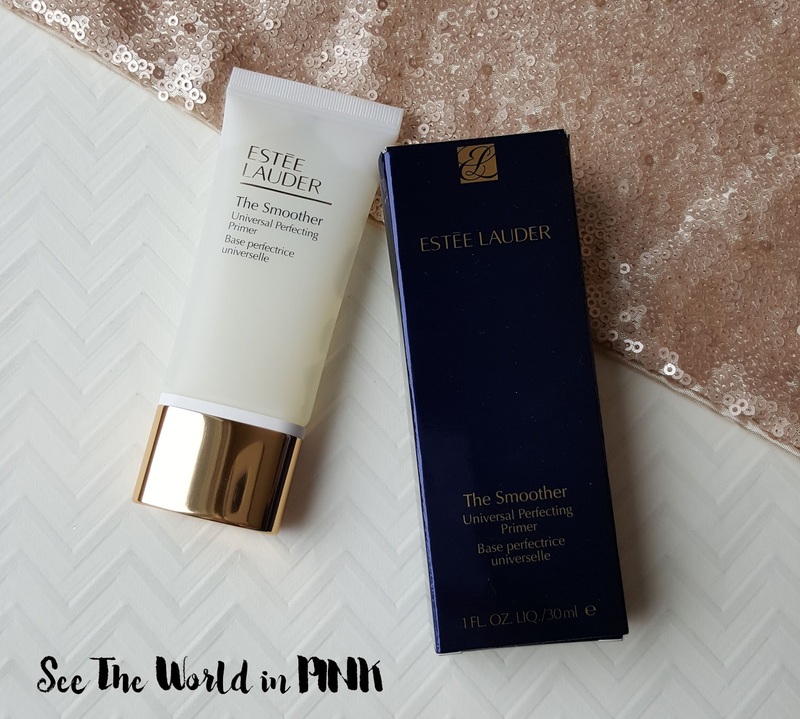 I still struggle to find a primer that I love for my skin, so I am excited to see if the new Estee Lauder "The Smoother" Universal Perfecting Primer lives up to it's name! 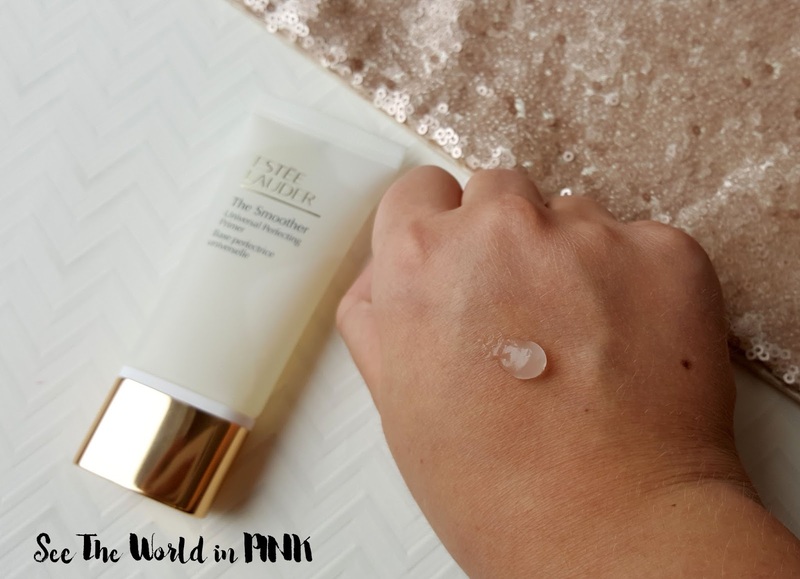 This is a new primer from Estee Lauder and it is meant to reduce the look of pores while prepping your face for makeup application. 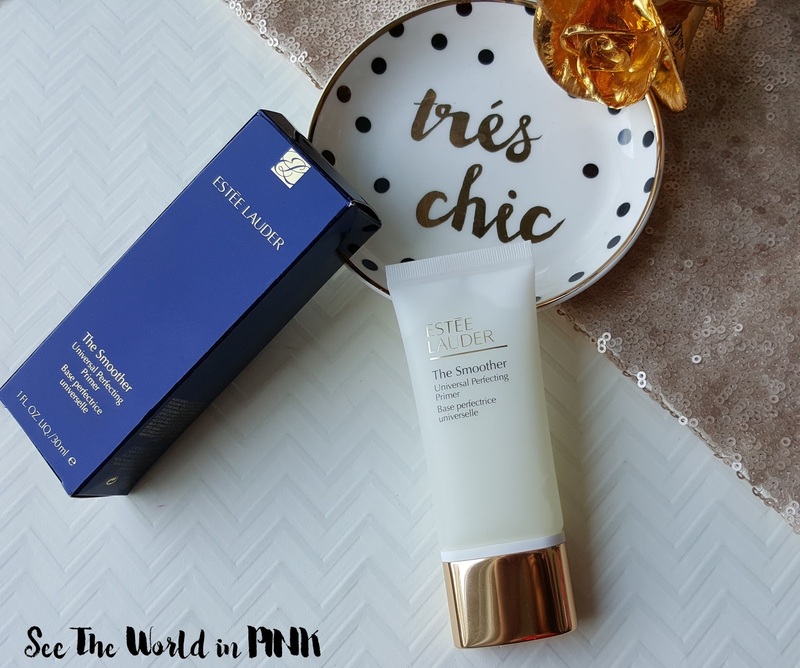 I actually haven't tried many Estee Lauder makeup products before, but as I said before I am always on the hunt for a great primer, so this is worth a shot! This primer has a great texture - it isn't too silicone-y feeling, it is of course very smooth on the skin, doesn't feel sticky or tacky, and is really light-weight! All a really great combination for my preferences in primers! It smooths on the skin really nicely, and it does visibly smooth texture out - I like that this could easily be worn alone without foundation if you were going for a really natural look and didn't have any colour or blemishes to coverup! For me, I always have a little redness to coverup so I need to wear foundation over my primer! These pictures were all taken in natural lighting within minutes of each other (and clearly unedited!!) to give the truest look at this primer. 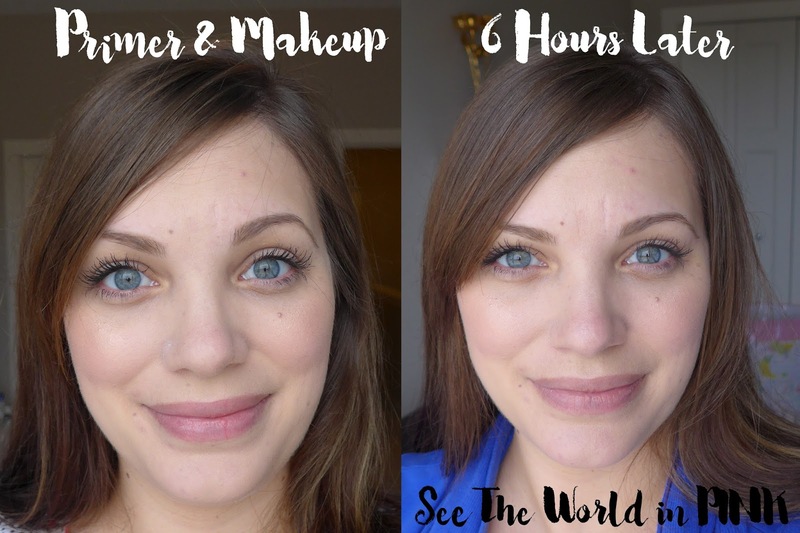 I can actually see visible results with just the primer alone on my skin - especially around the nose and forehead! I ended up using quite a bit less foundation with this primer as it adhered really well! Also, I always have difficulty getting makeup to stay on and around my nose and this worked really well for me! 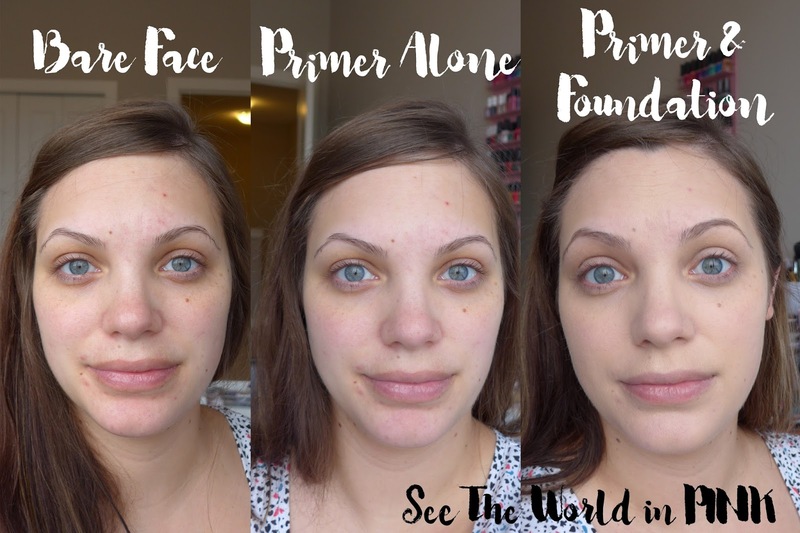 I'm impressed with the difference of my pre-primer skin to my after primer and foundation look! I also wore this primer out and about for my errands to test if has good staying power as well! I did not finish with a setting powder or spray (as I normally would) to see how the primer is on it's own! I will say, there was a little lifting on my nose, but they rest of my face makeup stayed on really well and still looked good! 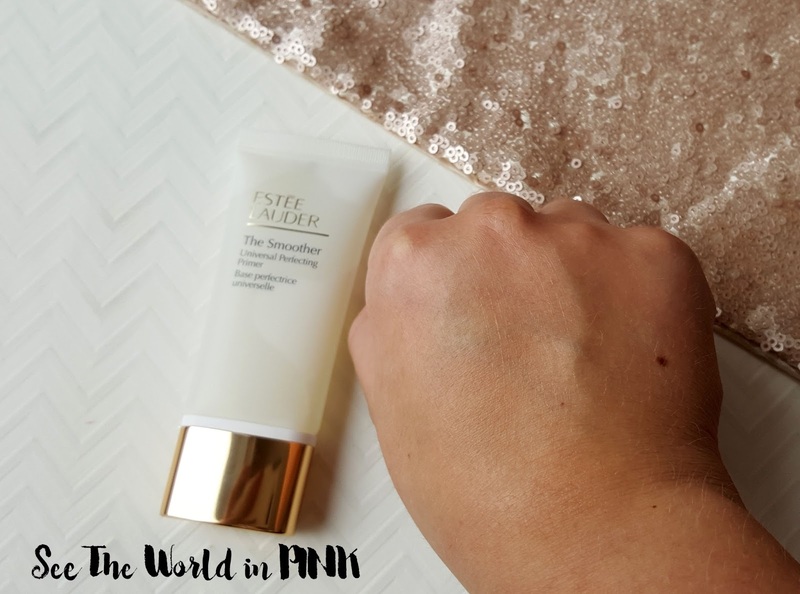 I would usually use some type of setting product with all other primers, so I think without one of those entirely, the longevity of this primer is impressive! I'm going to keep using this for sure, and honestly I'm not sure most primers preform this well - maybe my search for my holy grail primer is over!? *PR products provided - all opinions are my own!